The car has power windows, power locks, power mirrors, air conditioning and the Monsoon stereo. The engine is a 300-hp, 3800 Series II V6 modified to have more power than any stock 4th Gen Z28 other than the SS. 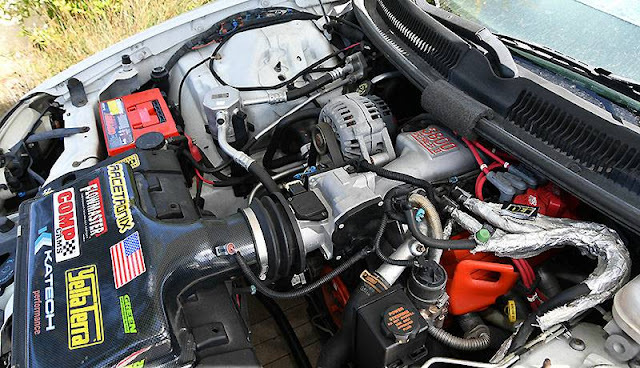 The car has the power of a stock Z28 with the lighter weight and the gas mileage of a V6. >Comp cam and roller hydraulic lifters, 206/212-deg duration at .050-in lift, .540-in lift and 116-deg lobe sep.
>DeGroff heads, ported, polished and cc'ed. >YellaTerra 1.8:1 roller rocker arms. >245-hp@5750-rpm and 235-lbs/ft@4700-rpm at the wheels, SAE-corrected. Using a 15% parasitic loss, the engine makes about 300-hp and 280-lbs/ft torque, SAE-corrected, at the flywheel. That is about 100-hp more than a stock 3800 V6. >Global West Adjustable Panhard Bar. >Global West TracLink System replaced stock torque arm. >265/45ZR17 Goodear F1 Supercar tires on 17x9-in Fikse Wheels. 136,000 miles on car and engine short block. 50,000 miles on engine top end since modification. All service records and oil analysis records are available. Factory Service Manual Set is included. It's crazy. There is probably $20,000 in mods done to this? I like it thought. I bet it sounds pretty good and is nimble around corners. I wonder if the Pontiac bonneville or another supercharger would bolt on? I had thought it was a tiger behind the other door, not a lion. Unless there were a couple different sultans who played different versions of that game. 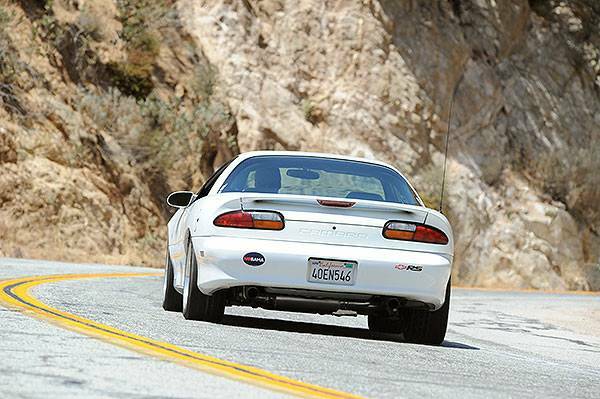 245whp =/= same power as a stock LS1 even before we examine the differences in power curve and delivery. Obviously and LS car remains superior, but this is still very cool and rare to see someone take the time to mod a V6 to this extent.